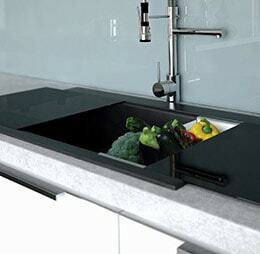 CDA’s KG80 sink is the only product on the market with Ariapura technology. 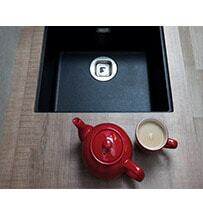 The composition of this sink includes titanium dioxide nanoparticles which actively purify the air in your kitchen. Using natural light, in the same way as plants, it transforms organic and inorganic pollutants into harmless mineral salts. Not only does this phenomenon decontaminate, it also provides antibacterial protection – something that is becoming increasingly important as we are more aware of food hygiene. 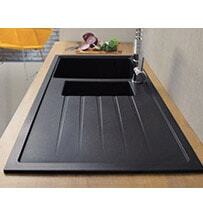 Sinks can harbour all kinds of bacteria and we strongly recommend that you at least wipe them after every use. Soap scum, food and drink residue, rust and even hard water can build up if not cleaned properly so be careful what you throw down there! A waste disposer will help you to get rid of food waste by churning it up to discard down the plug hole. Be wary of sink-blockers like coffee ground though as these will pass through the dispenser and still clog up your plumbing. If it smells, chuck it away! Washing up sponges can harbour all kinds of kitchen nasties. Rinse it well with hot water after use, use an anti-bacterial liquid to kill germs and be sure to change it regularly-especially if it smells less than fresh! Don’t push it down the plug hole! 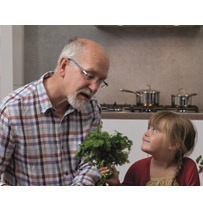 Unless you have a waste disposer fitted, do not push food debris down the plug hole. 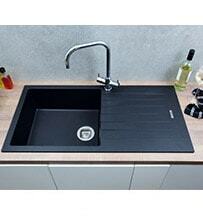 It will decompose, promote bacteria growth and even block up your sink completely. Clear out the strainer waste after use to keep plug holes clear and drains clean. Just like your washing up sponge, your tea towel is a damp and dirty place that is perfect for bacteria to live and grow. Stick to these simple rules to keep it clean: change and wash regularly, keep plate drying and hand drying towels separate & hang it up after use. Mix baking soda with salt and a little cream of tartar. Pour the mixture down your drain and follow with a pint of boiling water to keep your drains clog and odour free. All you really need to clean a sink regularly is a mild detergent and some warm water. You could even use white vinegar and water for a more eco-friendly cleaning solution. Be aware that cream cleaners are usually abrasive and can scratch surfaces like glass and steel; avoid these on your sink if you can. A top tip for bringing up ceramic sinks to brilliant white sparkle is to line the sink with paper towels and pour over some bleach. Leave it like this for 30 minutes and discard the towels, rinse and wipe for a shining finish. Baking soda is the go to cleaner for composite sinks as it is brilliant at removing stains. Alternatively, if you have a bad stain, try a mixture of half a cup of Borax with the juice of half a lemon. 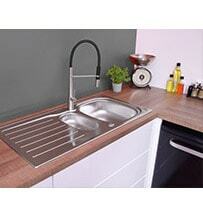 Dab the stain and rinse with running water; this is great on ceramic, stainless steel and composite. 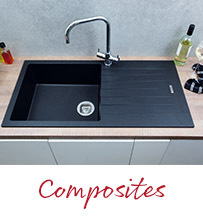 If you are really worried about the germs then take a look at our composite sink range with built in Ariapura antimicrobial technology. This is manufactured into the composite surface and naturally repels and discourages bacteria from lingering and multiplying. That’s one less thing to worry about! If you are unfortunate enough to get a spot of rust on your steel, WD-40 is a huge lifesaver when it comes to removing the stain and protecting against further oxidisation. Use accessories for washing up! 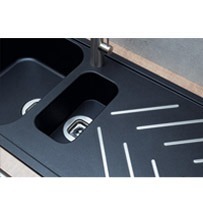 Sink baskets will hold sharp cutlery and prevent it scratching the sink bowl. 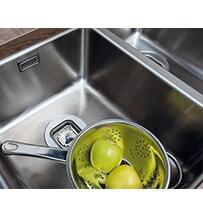 You can even use a small silicone mat in the base of your sink bowl to stop marks from occurring. Don’t use abrasive cleaners. Once you scratch, you can’t go back. Although you can clean with white vinegar, don’t leave acidic foods like vinegar, lemon or salad dressing to linger in your sink too long, they could mark a composite sink forever!